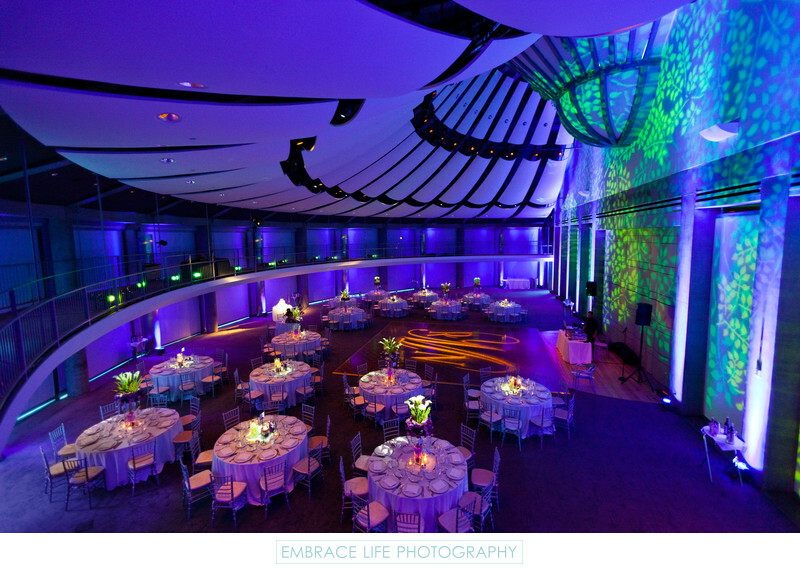 A remarkable wedding photograph inside the Cotsen Auditorium at Skirball Cultural center in Los Angeles, CA, featuring well executed event lighting including a purple wash, natural patterned green accent wall, monogrammed dance floor, and pin spots on low and tall floral centerpieces. The ambiance of this wedding reception made an immediate and lasting impression. Location: 2701 N. Sepulveda Blvd., Los Angeles, CA 90049.